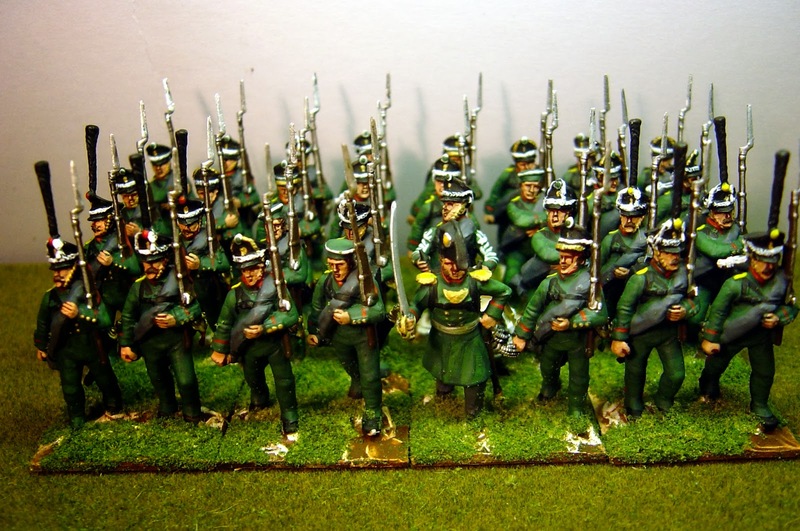 Here is the first of four battalions of Jaegers for my Russian Napoleonic army. I have given them winter-wear green trousers because I want them to be visibly different from a distance. I've also read that grenadiers in these regiments (carabiniers) did not use their tall plumes but I may be converging all these elite companies so they need to look the part. 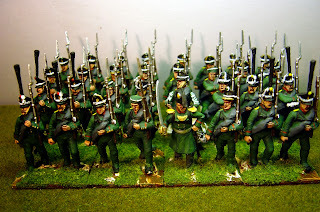 Perry plastics.. Nine battalions out of 12 now finished. 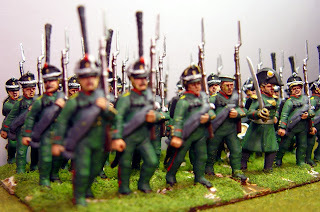 One of the most handsome units of Russian troops in miniature I've seen anywhere. Lovely! Really impressive unit! Love that you've mixed in a few fatigue hats as well. 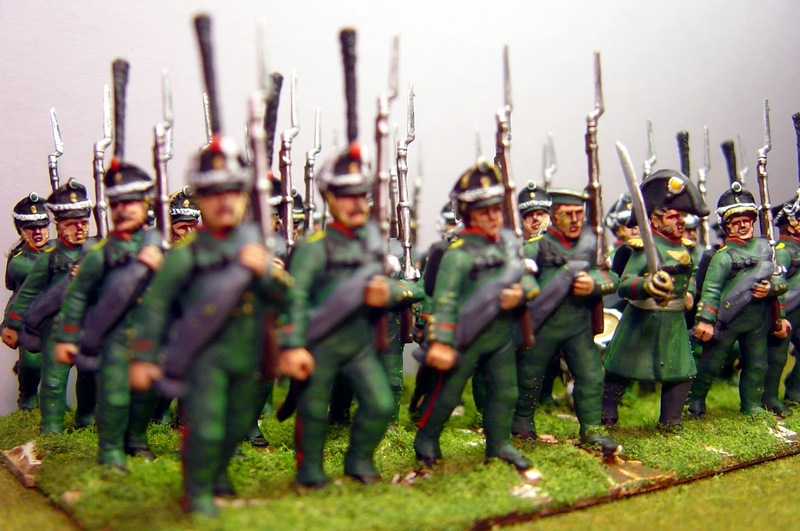 Please post more of the completed nine battalions, must look fantastic on your gaming table?